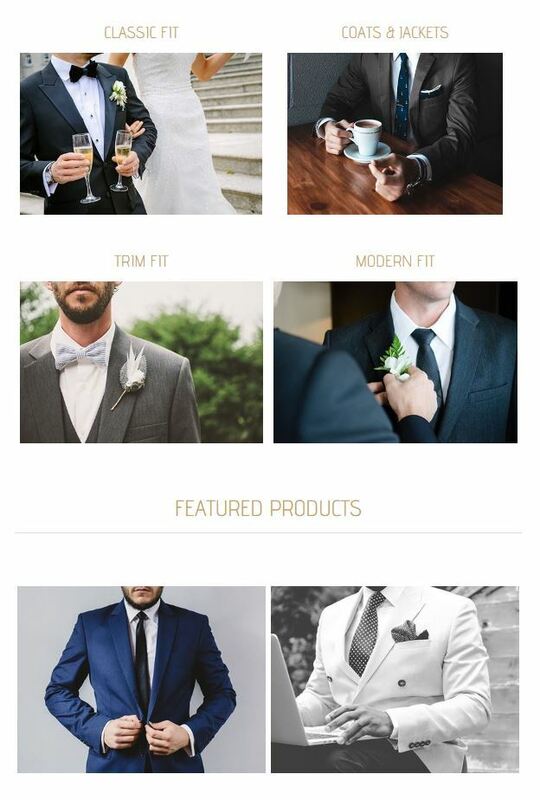 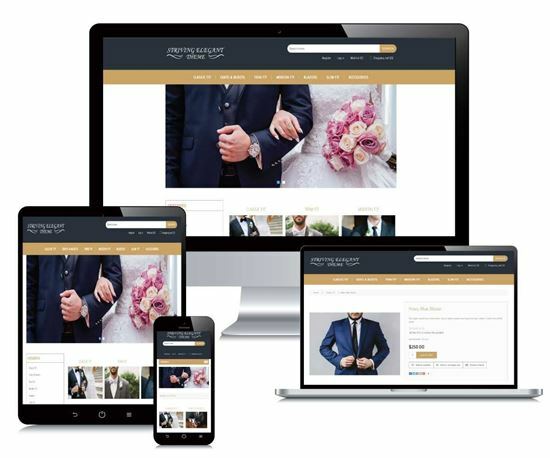 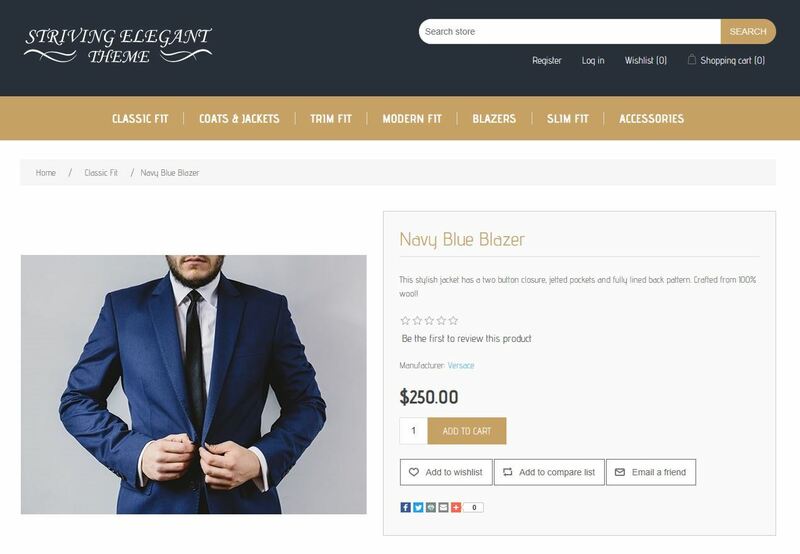 Striving Elegant Theme is a responsive multi-purpose theme for nopCommerce which is best suited for marriage, garments, engagement, personal, food, photo studio, wedding, gallery, portfolio and photography type of clients / businesses. 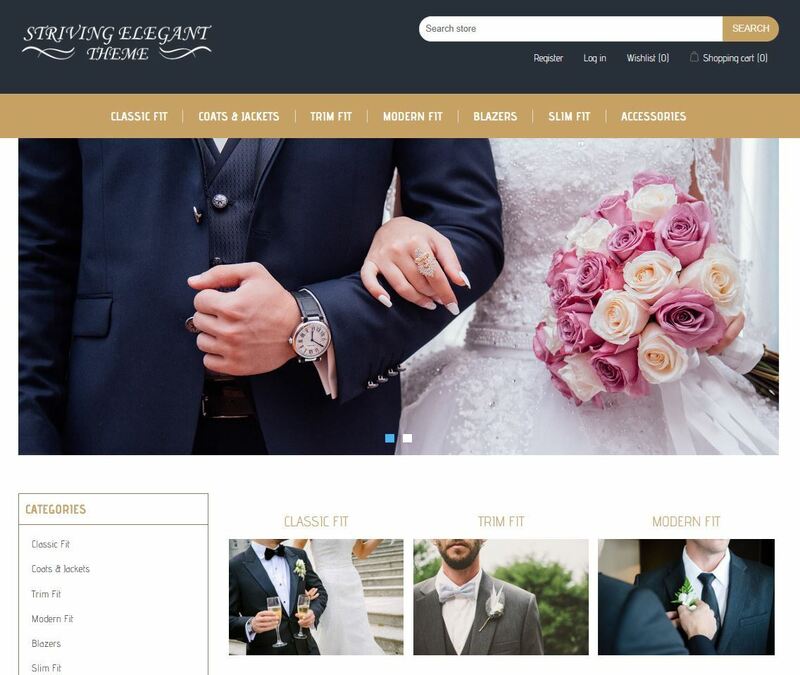 Striving Elegant Theme is very easy to install (even for beginners) and offers a beautiful and elegant fonts & design that that helps in attracting your site viewers attention. *This theme does NOT offer RTL (Right To Left) support. 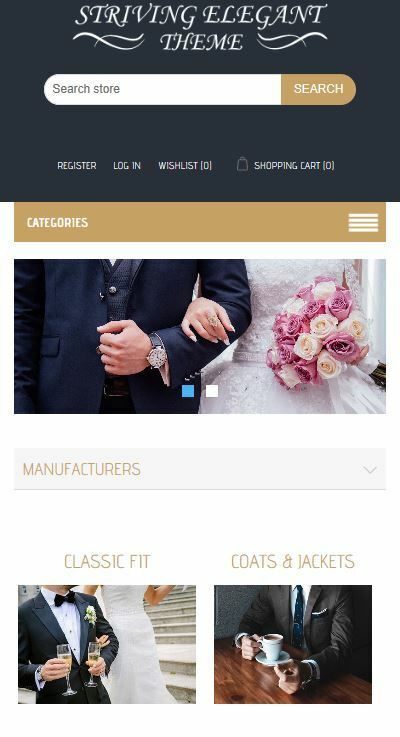 *We are offering premium paid themes at a low price which is why we DO NOT offer free upgrades on paid themes.